A Net Promoter Score (NPS) is a measure of loyalty. 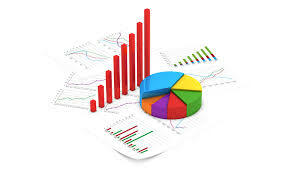 It is commonly used by businesses to measure customer satisfaction. A NPS can be collected for other types of relationships as well, such as those with employees and vendors. The score is calculated based on a single question with a response in the range of 0-10. How likely is it that you would recommend our Company/Product/Service to a friend or colleague? Those who respond with a 9 or 10 are considered to be Promoters and are indicative of someone who is likely to be supportive of your business. Any response below a 7 indicates a Detractor or someone who may be harmful to your reputation. Responses of 7 or 8 are considered Passives, neither helping nor hurting your business. The Net Promotor Score is calculated by subtracting the percentage of Detractors from the percentage of Promotors. The resulting score is a number between -100 (all Detractors) and +100 (all Promoters). A positive number is considered good and a number of 50 or more excellent. The Surmetric platform collects responses and provides detailed reports including graphs that show how your NPS changes over time. Our standard NPS survey includes a second open-ended question designed to help you understand the reasons behind the response. The Surmetric will provide you with tools that allow you to quickly tag the responses to this question with themes specific to your business. These can be themes like “Customer Service”, “Price”, “Quality”, etc…. As your NPS fluctuates over time, and it will, you can correlate those changes with changes in the themes of your responses. These correlations can give you actionable insight that can help you proactively address problems to reduce Detractors, convert Passives to Promoters and identify new opportunities to grow your business. ® Net Promoter, Net Promoter Score and NPS are registered trademarks of Bain & Company, Inc., Satmetrix Systems, Inc., and Fred Reichheld. How many response do you need for your survey? Whether your using our Surmetric platform or just conducting informal surveys at school or work, you will likely have to determine how many responses you need to collect before you have a statistically valid sample. The number of responses required depends on two basic factors. How large is your population and how accurate does your survey need to be?. The population size is the total number of individuals you consider to be relevant to your study. The difficulty in coming up with this number can vary greatly. Sometimes it is very well defined, “Number of customers who purchased product XYZ”. Other estimates can be more difficult, “Number of customers who shopped but did not buy anything”. Both of these populations could provide valuable insights. The accuracy is usually expressed as a +/- margin of error. The inverse of the margin of error is the confidence level. An error margin of +/-5% has a confidence level of +/-95%. Think of confidence level as being the likelihood that if the survey was conducted numerous times using random samples, the results would statistically be the same. A margin of error between 3% and 10% is the norm. As you can see from the table above, the number of response for populations above 10,000 do not fluctuate. The one thing the table does not capture is the validity of the collection mechanism. Ideally all respondents should be randomly selected and the study should take care to remove any bias introduced by the collection process. It still surprises me at how many Business processes are not integrated with credit card processing. My local dry cleaning shop has software that tracks the customer’s preferences and clothing through the process of dry cleaning. However, when I come to pick up my cleaning I hand my ticket (if I can find it) and credit card. While they enter my ticket (or more often then not my phone number) into their system which tells them the status of my order and how to find it, they must use a separate platform to process my credit card. The merchant goes to one terminal to retrieve the amount, then swivels to a credit card terminal and re-enters the amount into the machine, swipes (or inserts) my card and waits for a response. This is far more common than one would expect in the 21st century. This process inevitably leads to the manual correlation of the data in one system with that in another. Credit card processing has been made much easier in recent years. When I first started doing this (more years ago than I care to admit) the processing of credit cards was a very closed system, with dial-up terminals and few integration points affordable to small business. Today’s processing models are very open and affordable integration is possible for even the smallest of businesses. As a small business consultant, we are often asked to find cost effective solutions for integrating business processes. Credit card processing is just one of the processes we consider. Sophware Solutions has a Java based solution that is capable of interfacing with multiple gateways and multiple merchant platforms. We chose Java due to its portability across platforms. Our Java based solution is free to any system integrator and can greatly simplify the challenges of credit card process integration. The primary consideration for integrating your credit card processing will be the hardware platform you are using to process cards today. It is important to find a credit card gateway that is capable of supporting your existing hardware (when applicable) as well as your future needs. There was once a time when a Small Business could simply refuse to deal with the fees and hassles associated with Credit Card payments. Unfortunately this is no longer the case, credit and debit cards have become the preferred payment method by many customers and absolutely critical to expand your business online. Fortunately, due to technological advances much of the hassle and some of the cost has been eliminated. In today’s world, it is important for all Merchants to understand the basics of Credit Card processing. Credit Card transactions are categorized into two basic types based on how the transaction originates and more specifically how the credit card information is obtained. Card Present transactions are ones where the merchant reads the card’s magnetic strip or more recently the card’s chip. There are a variety of interfaces, but what is important is that the card is present and read directly by a terminal device. Card Not Present are transactions where the card information is provided verbally, online or in any way where it must be keyed. Note: if the mag strip is not working and the merchant keys in the card information, even though customer and card are present, the industry considers this a Card Not Present transaction. The distinction between Card Present and Card Not Present is important because fees which are paid by the merchant are generally higher on Card Not Present transactions than they are for Card Present transactions. The reason for this is simple, fraud. The Credit Card industry is constantly trying to reduce the cost of fraud and it passes these costs on to merchants in the form of fees. Card Not Present transactions are considered at higher risk of fraud. When processing card transactions, credit card companies assign a four digit Merchant Category Code (MCC) to a business when the business first starts accepting Visa or MasterCard payments. The merchant category code acts as a classification code for the type of goods or services a business provides. Merchant category codes can have an effect on fees paid by a merchant and each card issuer can decline transactions based on the merchant’s MCC (e.g. gambling web sites). MCC can also be used to assign rewards that may be based on the category (e.g. 2% cash back on gas). Its important to understand how your business is classified, but there is often little you can do to change it without changing the nature of your business. Just be aware that it exists and it impacts the way the process views and treats your business’ transactions. Authorizing (auth) requires an amount and a Credit Card. The authorization step verifies two things 1) that the card provided is valid 2) that the amount being requested is available. Authorization, if successful, places a hold on the amount requested and assigns an authorization code to the transaction. Capture is done after an authorization. Capture requires a previous authorization but may capture an amount different from that authorized (rules vary by gateway). The timing of the capture really depends on the business process. Capture is not supposed to be done until the product or service has been provided (handed, shipped or service completed) to the customer. Many retail transactions perform authorization and capture at the same time. For example if you buy a soda at the gas station, authCapture occurs simultaneously. In other scenarios, the capture happens just minutes after the authorization, for example paying your tab at a restaurant. The waiter will authorize your card based on your check and bring it back to your table with a credit card receipt that you sign and hopefully add a tip. After you leave, the waiter will then capture the full amount, including tip. In other scenarios, the capture may happen days later, such as when you check into a hotel. The hotel will authorize your card upon check-in or reservation for the estimated amount of your stay. When you check out, the actual amount is captured with perhaps any additional charges incurred or if you check-out early, with a lesser amount than authorized. Online transactions are often authorized when you submit your order and captured when the order is shipped (at least that is the way they are supposed to do it). Any uncaptured authorization will expire after a period of days that vary based on a number of factors. If the authorization has expired or the amount has changed to the point where the original authorization can no longer be used (varies based on processor), the merchant can always void the original authorization and perform an authCapture for the new amount. Its important to remember, none of this activity is visible to the cardholder. It is not until the captured transactions are batched, that processing begins and charges are recorded against the cardholder’s charge account. A merchant may void a transaction up until the time it is batched. Voiding a transaction avoids the fees assigned by credit card processors, but it still incurs fees (usually transaction based) assigned by the gateway and service provider. It is always less costly for the merchant to void a transaction than to issue a refund. Batching is the process of collecting captured transactions and sending them off for processing. Once a transaction has been batched, it usually can no longer be voided. If the amount needs to be refunded after batching, a refund or credit is usually required. Most gateways allow merchants to automatically batch their transactions on a schedule (usually at the end of a day). The schedule can be customized or the merchant may choose to initiate the batching process manually. After batching, the transaction can no longer be voided. The only recourse a merchant has to reverse or cancel the transaction is to issue a refund or a credit to the cardholder. Though this varies by the solution you choose, refunds and credits are considered new transactions and will generally incur the same fees as the original transaction. With Credit Cards, the customer has no visibility to the transaction details until the transaction is batched. At that point it may show up on their account as a pending transaction. When the processing completes it will show as a charge. Debit Cards add a unique wrinkle. While the process is the same, the impact on the customer is more apparent. An authorization on a Debit Card makes the funds in the customer’s bank account unavailable until the authorization is voided or expires. Many business, like hotels, will place a large authorization for a reservation. And the reservation may be many weeks in advance. While the funds remain in the customer’s account, they are not available for his use until that authorization is voided. Only when the transaction is fully processed, usually when you check out of the hotel, are the funds removed. You should never reserve a hotel room or any other reservation with a debit card. There are several entities involved with the processing of credit cards. Merchant Services Provider (sometimes called Merchant Acquirers) are the customer service agents representing the Credit Card process. The Merchant Service Provider is responsible for acquiring merchants and are the single point of contact providing statements on fees and credit card transactions to the merchant. The service provider is the one who (usually) architects the end-to-end solution for an individual merchant, often providing hardware (when necessary), setting up accounts with a gateway (when necessary) and assigning a processor. It is very important to select the right Merchant Service Provider. Gateway Solution Provider (e.g. Authorize.Net, PayPal, CardKnox, etc…) is responsible for interfacing with merchant hardware and software. Most gateways can work with a variety of Processors on their back end. The Processor (e.g. Fidelity,) hands off transactions from a gateway to the specific card issuers. The processor is responsible for ensuring the credit card transactions are sent to the correct Credit Card Issuer. The Credit Card Issuers (usually banks) are responsible for billing the cardholder for charges. (e.g. MasterCard, Visa, Discover and their bank affiliates). The lines between these for entities are often blurred. Some Processors have their own gateways and Merchant Service departments. Some Merchant Service Providers have their own gateway. Then there are solutions like PayPal that provide all 4 functions for many transactions. The single most important decision you will make when setting up your Merchant account will be selecting the right Merchant Service Provider. Unfortunately there are a lot of bad players out there and it is important to do your homework. The best thing you can do when shopping for a Provider is to understand your own transaction profile. How many transactions per month, the average dollar amount of transactions and whether or not your business will be seasonal. If you have existing hardware you want to use, you will need to consider a service Provider who can support it. Many service providers will offer you discounted hardware (i.e. terminals), some will waive setup fees and many do not require any contract. In general it is a bad idea to lease equipment. Credit Card terminals (if you need one) have become very affordable ($100-$500) for most businesses and equipment leases are a way for Service Providers to lock you into longer term contracts. The technology is changing for card present transactions, so try to get the hardware with the latest capabilities like EMV (chip readers) and NFC (near field like Apple Pay). But in my opinion it rarely makes sense to lease unless you know you will only need the hardware for a short term and there are no long term contracts tied to the lease. Interchange and Program Fees are not negotiable. You can however choose to simply not accept certain card types. This leaves only the Service Provider (Acquirer) Fees. As with most things, the more volume you have the better your price. By definition, this puts small business at a disadvantage, but a smart shopper can still negotiate a good deal. Monthly Recurring Fees PCI Compliance, Chargeback Support, Gateway fee, etc…. Transaction Based Fees are often subject to monthly minimums (e.g. $20) and are usually expressed in one of two ways. Interchange +plus, which means they will usually add a combination of a flat fee (e.g. 10-20 cents per transaction) plus a percentage (e.g. 0.18% – 0.30% of the dollar amount) on top of the non-negotiable interchange fees. the second method is called Tiered Pricing (e.g. 20 cents per transaction) and (1.5-3.5% of dollar amount based on volume). These amounts are inclusive of the interchange fees and thus have less variability based on the customer’s card type. My experience is that most small businesses are better off with Interchange-plus pricing because they do not usually have the volumes to get them to the lower pricing in Tiered models. This is where it becomes very important to understand the transaction volumes (transaction numbers and dollar amounts) of your business to determine the best pricing for you. Most Service Providers are very good and will help you make this decision, but just be aware that all service providers make at least some of their money from your fees. It is important for you to be engaged and understand your options. If you have few transactions for large dollar amounts you are better off choosing the lowest percentage based price. If you are just the opposite, with many transactions for low amounts, you will usually be better off paying a higher percentage and lower flat fees. There are a few merchant fee calculators out there that can allow you to compare the different pricing models of different Service Providers. One of the credit card industry’s primary concerns is fraud. For this reason you will find that the fees Merchants pay for credit card processing are tied to the perceived risk of fraud. Factors include the Merchant’s business category and the way in which the transaction is originated. Generally speaking retail, card present, transactions are considered safer than online or over the phone transactions. For this reason transactions that are keyed (card not present) will be assessed higher fees than those that are read by a card reader (card present). Merchants will be given the option by most service providers to reduce their fees by enhancing security. The two tools used by most gateways are Address Verification Service (AVS) and Card Verification Value (CVV). Most merchants are given the option to employ these services, e.g. provide zip code and/or CVV number as part of their card not present transactions. Using AVS and CVV are measures that can reduce fraud but may also increase declined transactions that would otherwise result in legitimate sales. This is a careful balance between convenience and security. Another thing you must be aware of is Chargebacks. While not always the result of fraud, chargebacks are another source of higher fees. A chargeback occurs when a cardholder disputes a charge on their bill. Most chargebacks can be avoided with better customer service, but there is some percentage of chargebacks that are the result of fraud and the cost of doing business. Your Merchant Services Provider is responsible for working with you to resolve chargebacks and because this costs you and them time, it costs you money in the form of higher fees. The industry tracks your chargeback ratios (transactions per chargeback) and assigns fees accordingly. Credit Card processing has become a necessity for today’s small businesses. Understanding how it works and more importantly how to make it work for you is important to most businesses. The costs associated with Credit Card processing are too often underestimated and misunderstood. It is just as important to periodically evaluate your card processing fees just as you would any other cost you have in running your business. Hopefully this has been helpful.